11 month update. 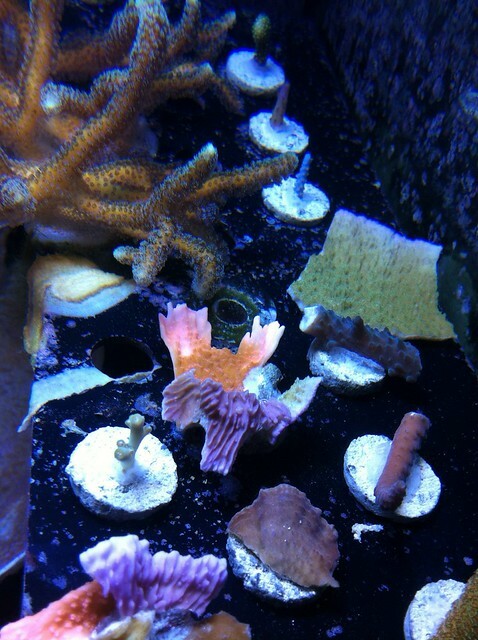 Fish and corals are fairly happy. The refugium is full of pods. I still need to get the green hair algae under control. Phosphate levels ~ 0, Nitrates ~7 ppm. This video turned out a little choppy but I figured I’d post it anyway. A meeting at the algae clip! Well I just got the news that we need to move houses this summer… So, that means I need to take our system down. But, it gives me the opportunity to plan another tank build when we find a new house. This time I will put a tank in a wall and give it its own room. 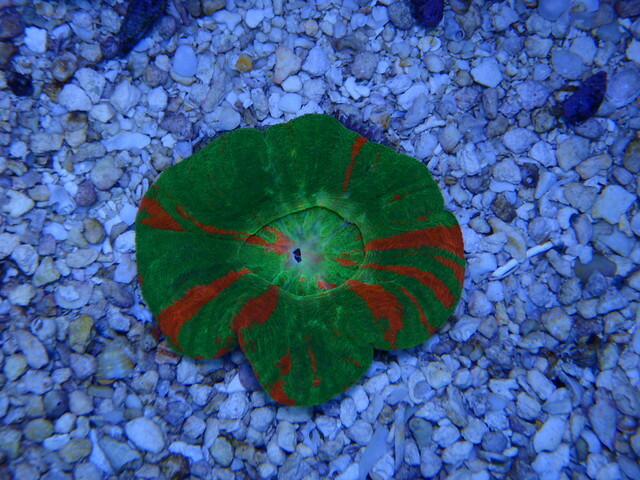 So, over the next few months I am going to try and sell my coral, livestock, then my tank. If anyone is interested in my livestock or knows someone interested in my 270 display tank (90″ L x 20″ W x 30″ tall)/oak stand/40 sump/.3 HP chiller/ Mag return pumps, please send me a PM. I hope this won’t be a terribly difficult process but something tells me it will be. I plan on keeping my controller, vortechs, refuge, mixing tanks & rock for the next build. As we all know this is an expensive hobby to get into so please do a little research and shoot me a fair price via private message of the things you are interested in. Everything needs to be picked up (Missoula, MT) as I will not ship. 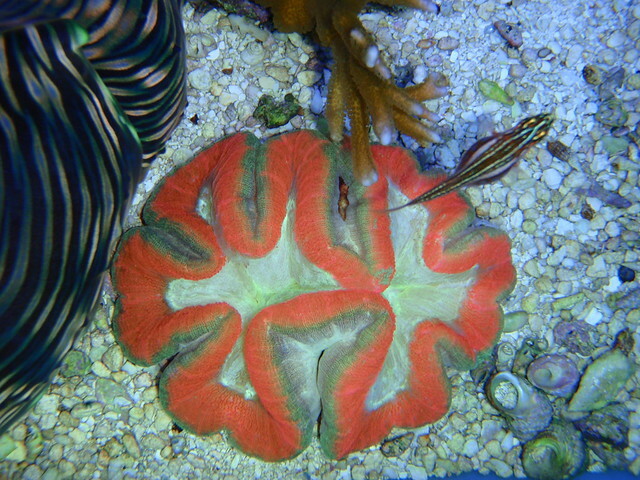 I would rather remove my coral from the tank first as catching the fish will be an adventure. 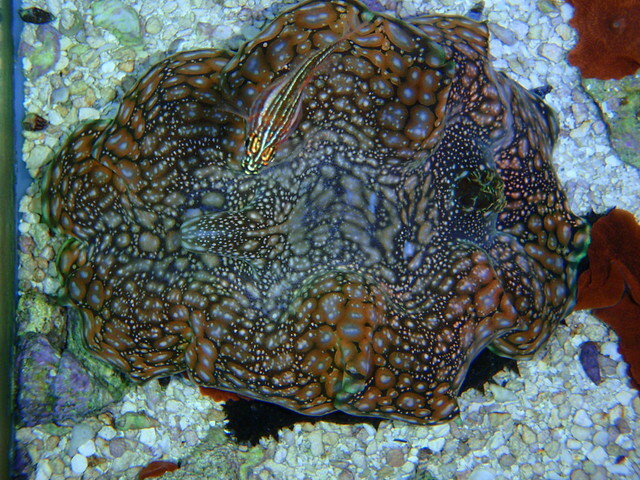 I have linked to some photos and videos of my corals and fish but more can be found on my reef blog and youtube channel. Panning from the left to the right of the tank. 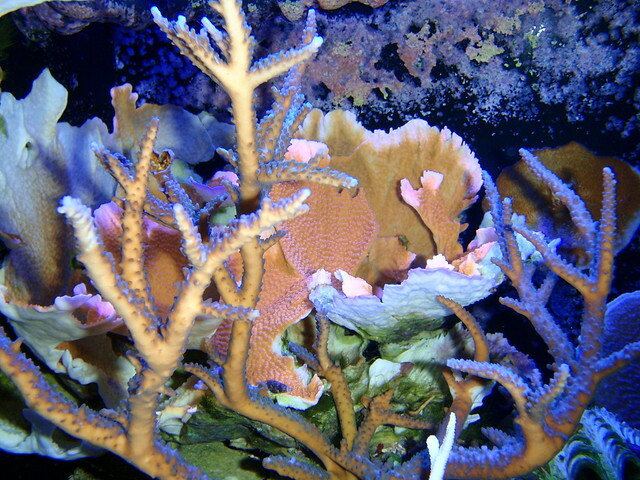 A quick video pan from right to left of our reef tank. 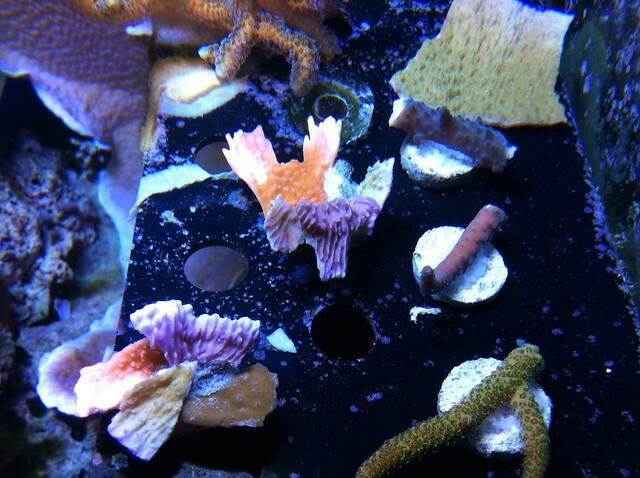 I think it’s funny that I let my frag rack get this overgrown, it’s more like a coral rack now. 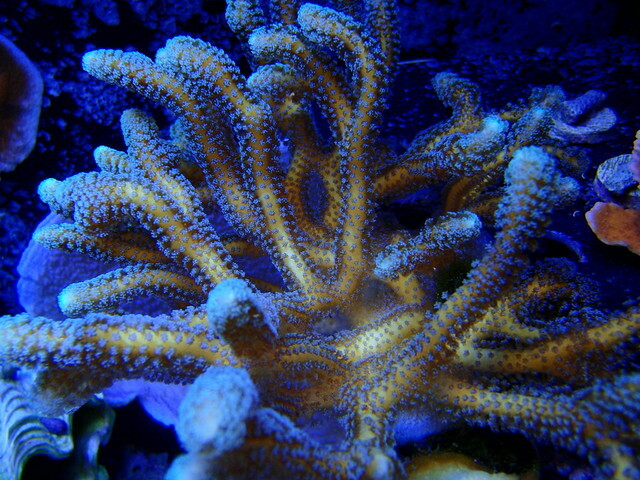 I just recently broke the main stalk of this acropora off as the weight was causing the rack to almost fall off. The rack’s magnets aren’t quite strong enough to support a “Coral Rack.” Remember to not let your frags grown into corals on the rack! Between reloading and hitting the range this weekend I took a few update pictures of the tank. Oh and I also ordered a new BRS 75 GPD RO/DI 6 Stage Deluxe System as the Easter Bunny thought I should upgrade 😉 (it was actually about time to replace the membrane and filter). As for the tank, everything seems happy. The Achilles and the Rabbitfish are even getting a long most of the time. 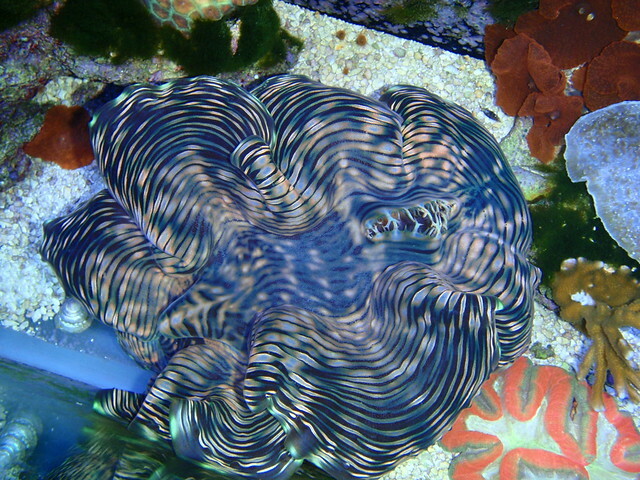 It’s kind of funny but the leg that the Serpent Starfish lost is still moving round on the bottom of the tank. It actually looks like the starfish is growing another leg (pictures), I wonder if the leg will try to grow another body, lol. 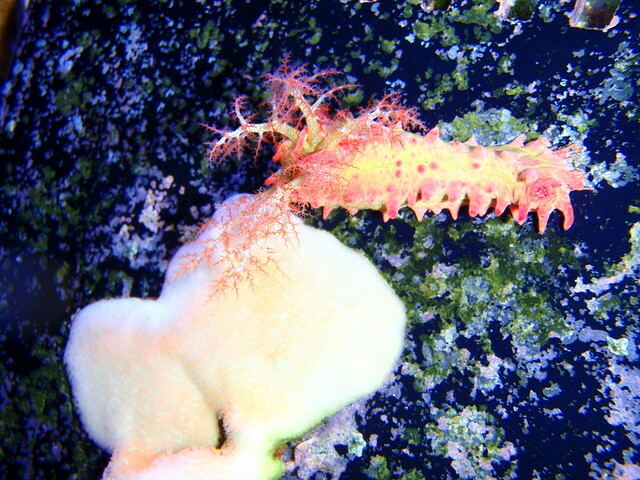 Here are a few videos from our last Northwest Montana Reef Club (NWMRC) meeting (2-11-2012). Charlie Ehler was nice enough to host our meeting at his house up the Fleathead. 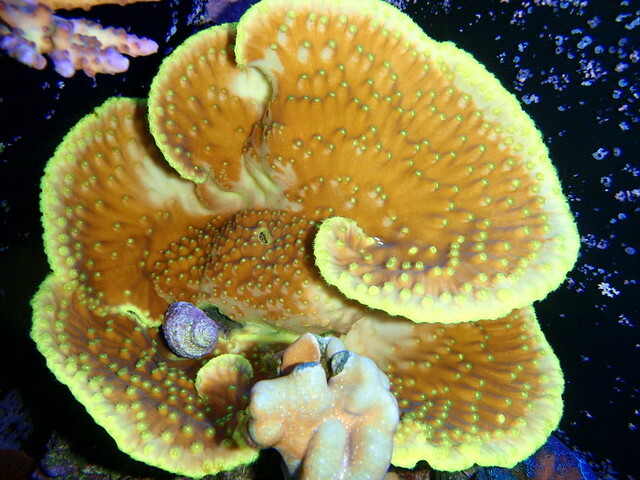 Hope you enjoy his 300 gallon SPS reef tank! More pictures to come. 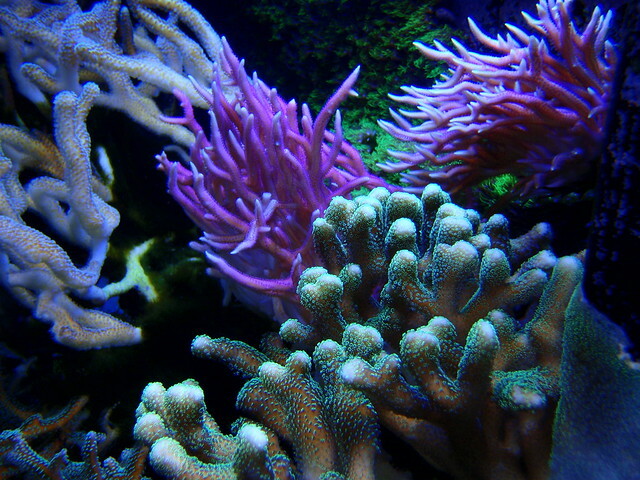 A quick underwater tour of the right side of our reef tank. 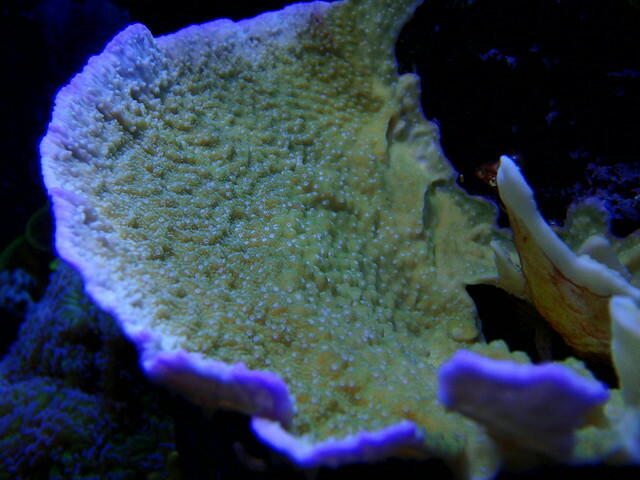 Mostly montipora caps, acros and birdsnest. 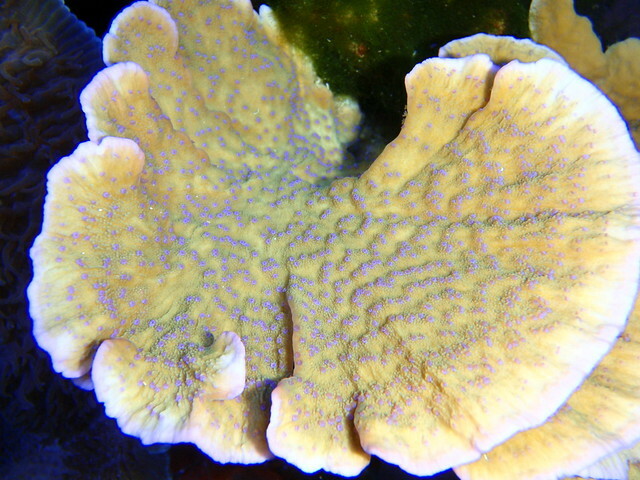 A quick macro video highlighting our yellow scroll coral, hammer coral and deep water acropora. An underwater adventure update film of the middle section of our display tank. 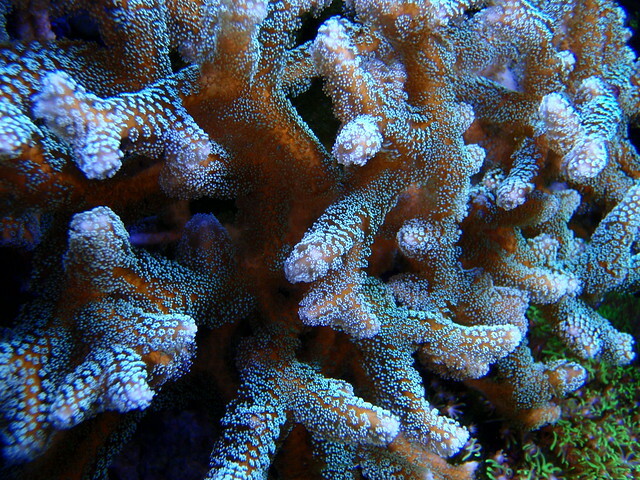 There’s a nice close up of the Hammer coral and a deep water Acropora, etc. Close up quick video, in the tank, of our Green Stylophora (Stylophora pistillata) and Pink Birdsnest (Seriatopora Hystrix) corals. Just a short close up video of our Orange Guttatus Birdsnest Coral (Seriatopora guttatus) and a Pajama Cardinalfish. 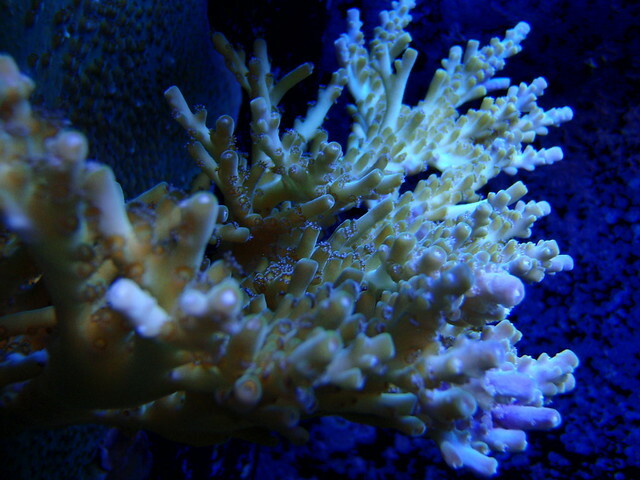 I got this coral from Live Aquaria a few years ago and it has grown pretty well. The EcoTech Marine Facebook crew sent me a small bottle of their coral glue after winning a contest. 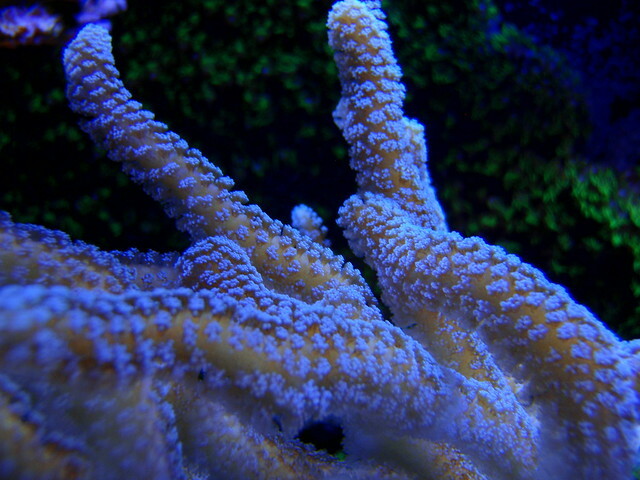 The new EcoTech Coral glue (gel) makes fragging kind of fun actually as it cures extremely fast! I have to say that I really like it, better than my other fragging glue (BSI IC-GEL). 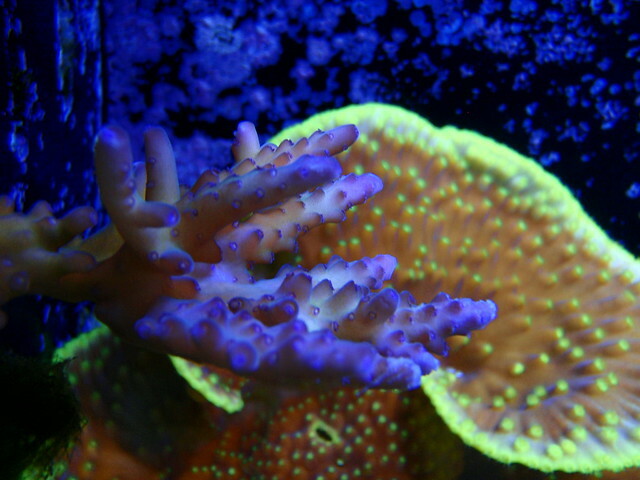 My friend Kelan and I did a little coral fragging this evening. 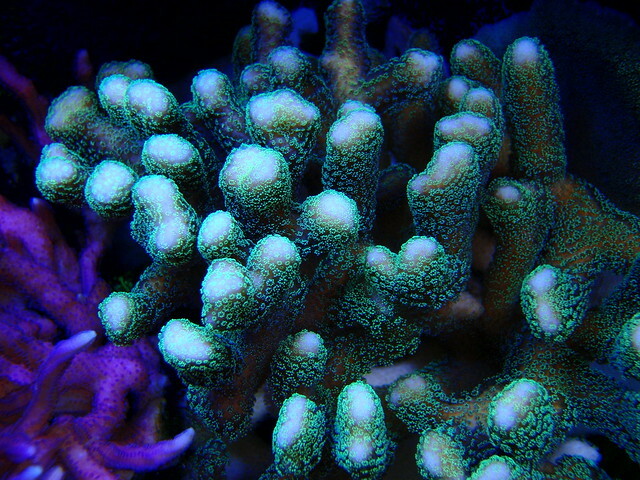 I hope the montipora caps grow in a neat pattern! Another update video of the display tank. A chance to get you classical music fix. 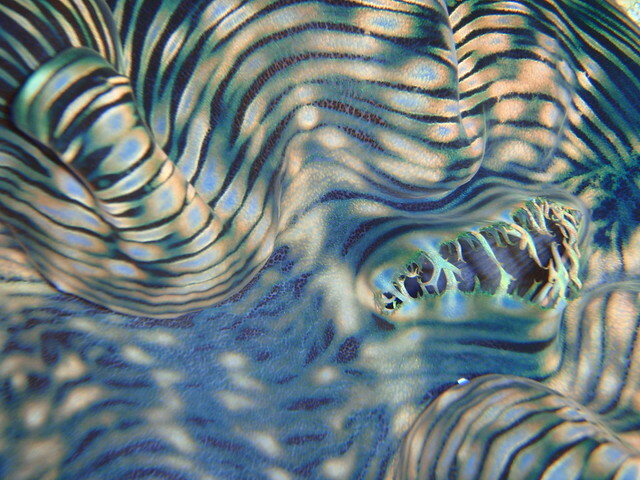 Also, I’ve added quite a few new photos to my Flickr page, check them out! Here’s an update video of the display tank and of a Peacock (Clown) Mantis Shrimp that I’m putting in the refugium.